Return, originally uploaded by davidrobertsphotography. News has surfaced in the local press that Conwy Council may be preparing to buy Colwyn Bay Pier from the Receivers for £35,000 and then hand it over to the Pier Pressure Group to run. Regardless of the rights or wrongs of the various parties surrounding the ownership issue, I'm delighted by this news, because it means that the deadlock may finally be broken. 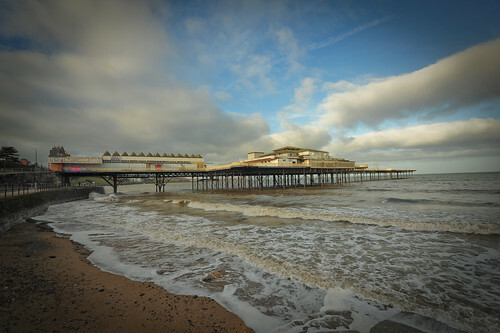 The Pier has become little more than a ball to be kicked around by people with various agendas, whilst the Pier itself decays a little more every day. Let the Pier Pressure Group have it...and let them try to harness the local community to roll their sleeves up and get stuck in with both physical work and fund-raising. It's sink or swim time for them...and I wish them the best of luck.